Loud 91 3.1L. With a few club stickers on my back end. If you see me rolling round brisy say hi. The more you do some thing the better you get. If only sleeping was an Olympic sport. 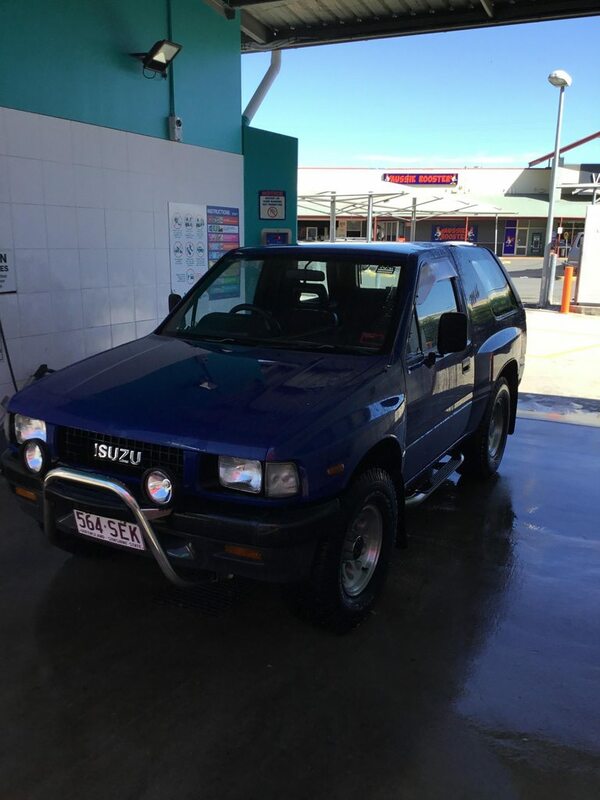 Vehicle: 1991 MU, with engine upgrade to 3.1L t/D. Vehicle: Noe yet, but doing heaps of research to get the right MU? gilign from the heart of sydney. her name is blakblumu. well untill i get it painted. Last edited by IsuzuMu77 on Tue Dec 16, 2014 8:23 pm, edited 1 time in total. Last edited by blumuu on Sat May 19, 2018 7:33 pm, edited 1 time in total. Everything looks better when it's wet.